The risorius muscle is thin and wispy. The angle of the mouth pulled outward by the risorius muscle. This muscle is situated nearby the mouth area and mainly it creates facial expressions. Risorius originates via the superficial musculoaponeurotic system which has, parotid fascia, masseteric fascia, platysma, and rarely, via the tendon of masseter muscle, along with a small support via superior fibers of platysma muscle reaching far upwards through the neck. It arises through several layers and attaches within the modiolus. It attaches over the skin on the angle of the mouth via traveling horizontally forward, superficial towards the platysma. It is a thin bundle of fibers which is widest at its origin, but differs in its size and shape. Risorius muscle attaches diagonally within the angle of the mouth and withdraws the angle posteriorly, for example while grinning. The risorius originates nearby the parotid gland, a salivary gland posterior to the jaw, and envelops around the platysma muscle. The platysma muscle is found in the chest as well as neck. The risorius spreads out till the skin of the mouth, its point of termination. 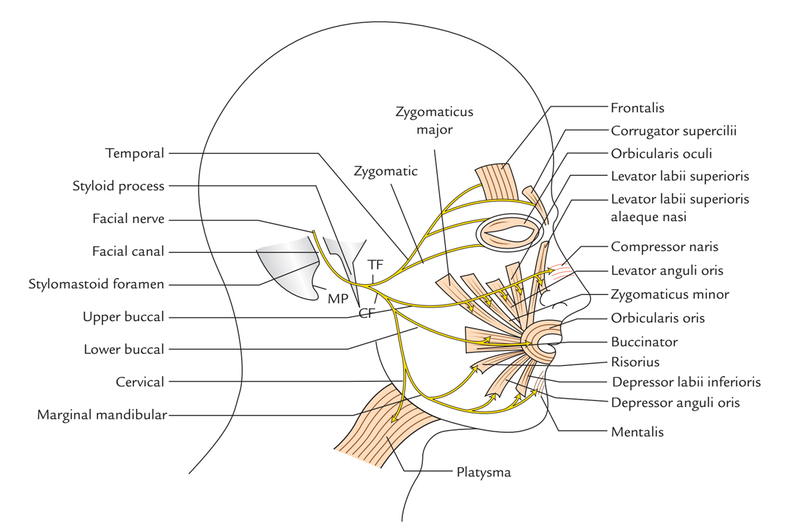 The facial nerve innervates the risorius muscle. The risorius operates via expanding and constricting in an upward as well as external movement. The risorius muscle operates together with other facial muscles in order to create a complete facial motion that goes upward and outward as complete part while being in motion superiorly and externally. The motion of all the muscles draws the lips as well as face back in order to create several facial expressions.